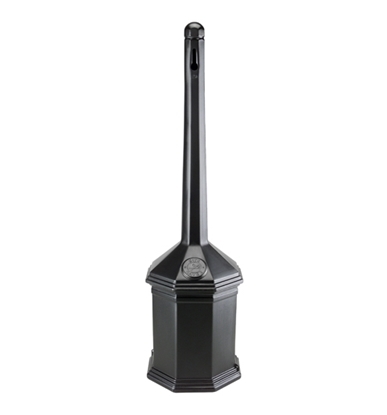 This trash can is made from high density polyethylene and features a dome ash tray top. Easy access on all four sides for convenience. 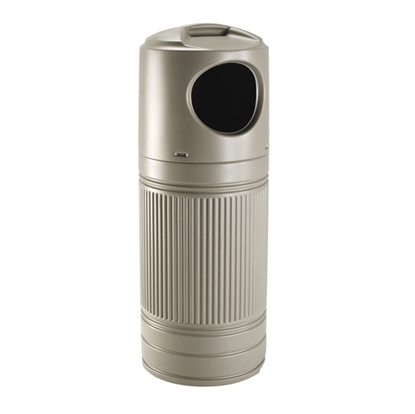 Features two built-in security clips to secure ashtray and allow removal for cleaning.